As a promising startup business, Positive Living Station has proven that a unique product or service could pave the way for success in the local market. Its new concept is now an ideal franchising opportunity. <>Unlike in most of the nearby ASEAN countries, the vending machine is less popular in the Philippines. That is because many Filipinos prefer to buy many of the consumer products they need in retail through small stalls called sari-sari stores. But the popularity of the vending machine is undoubtedly on the rise locally. In 2012, the idea of a shop that offers vending massage chair services was conceived. The following year, Positive Living Station was born. The service (instant massage) and product (it also sells massage chairs) the business offers are very timely. . Taking advantage of the usually huge crowd in malls and shopping centers, the company implemented its unique business strategy – setting up stalls within malls. 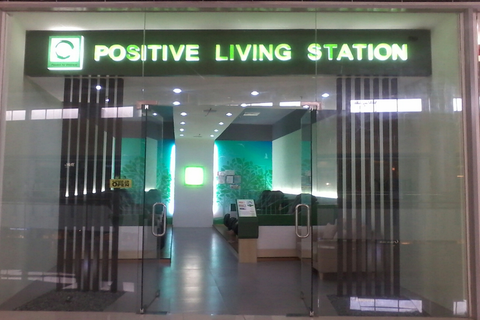 To date, Positive Living Station has 14 company-owned outlets in various SM Malls across Luzon. The business put into practice the same approach for its franchised locations. Currently, it has six franchisees in Luzon and in Mindanao. Notably, those franchised kiosks are also located inside malls. So far, the service it offers is a hit because of its affordability. “The people who go to malls come from all sectors. Everyone can see our products and services that we offer, and our vending massage chairs are very affordable to use,” said Joshua Yong, Positive Living Station’s head of operations. 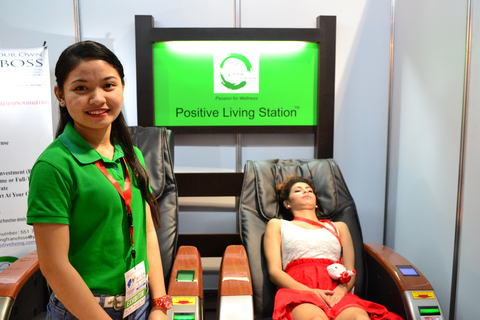 Positive Living Station has been one of the major competitors in the vending massage chair sector. It continues to dominate the market because of the quality of service it provides. Moreover, Yong asserted that the business concept is its main advantage. The outlets, franchise kiosks, and massage chairs were prudently designed or selected to suit the finicky preference of local customers. “We can say that we are ahead of our competitors. We are the only corporation or the pioneer in the Philippines offering franchise for vending massage chair kiosk business. Furthermore, we are also a proud member of Philippine Franchise Association (PFA) and Filipino International Franchise Association (FIFA). All our products and services were patterned and modeled for the Filipinos. In addition, we have a great technical team that responds as soon as possible if something goes wrong. The company’s management is very professional. All of our employees had gone through a systematic hiring process and all were deemed as very qualified,” Yong shared. The company is planning to further expand its outlets by penetrating the Visayan market next year. “We continue to grow. Currently, we’re planning to target all the major cities in the country. We will be opening a new outlet in Davao by this year or first quarter next year. Hopefully, the preparation for our Cebu outlet next year pushes through. If everything goes smoothly, then in two years time, maybe we can explore the international market,” Yong disclosed. It may seem as if success came easy for Positive Living Station but Yong reiterated that sheer will and hard work made the company one of the most prominent vending massage chair service providers in the country. “It has been a continuous uphill journey,” Yong declared. “We started from nothing, zero-based. But in two years, we were able to expand our outlets and have our own successful franchisees. This is a new idea in the Philippines but the potential is there. The opportunity is there. We wouldn’t be able to grow if we weren’t competitive and innovative,” he ended. Visit the online directory listing of Positive Living Station here.